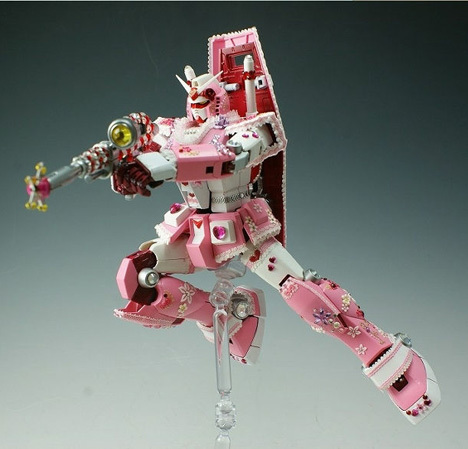 Just in time for the 30th anniversary festivities comes this girlie Gundam, a jewel-encrusted RX-78-2 (apparently created by a Taiwanese fan) looking pretty in pink and lace. I know what I'll be doing for my girlfriend for valentines now! I live in Okinawa(american). I was watching the local Okinawan news when I saw that a new Gundam statue was revealed last night. Has anyone heard anuthing? I'll go driving around tonight if I can find it. 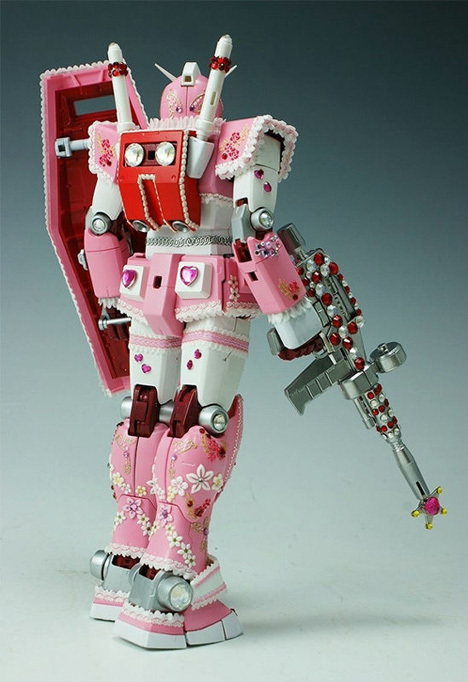 I'm a dude, but I just NEED a pink Gundam. I just want to have something on my shelf that nobody could have ever imagined to be made. 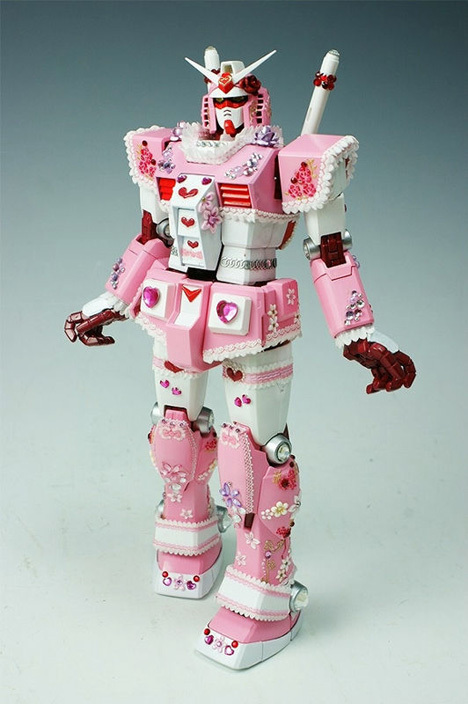 That's the girliest giant robot since Brownie from Gun Sword. I will never think of gundams the same way ever again. The garters were a nice touch though. I'd like to see this introduced into series in some manner. It's awesome. in a really really creepy creative, pink way. 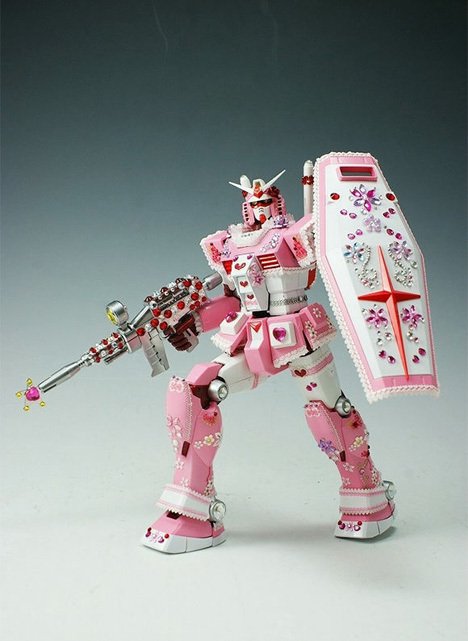 my gf is going to love this gundam. i guess if i ever need a gift idea..i can decorate one of my gundams. haha.